••Friday•, 30 •November• 2018 00:44•	??EPSCadmin?? Eagle Pass Sports Central is proud to announce that Eagle Pass High School senior two-sport standout Eagle Pass Lady Eagles softball catcher Brooke Diaz signed her National Letter of Intent to continue her academic and athletic career on Wednesday, November 28, 2018 with the Louisiana Tech University Lady Techsters out of Ruston, Louisiana member of the NCAA Division I Conference USA under the direction of head softball coach Mark Montgomery. Brooke Diaz daughter of Brandon and Samantha Diaz has been a stellar three year varsity letterman as a clutch power hitting standout catcher for the highly touted Eagle Pass Lady Eagles varsity softball program and a one year letterman for the Eagle Pass Lady Eagles basketball squad where she is a defensive and rebounding specialist dominating the boards on both ends of the court. In 2016 she helped lead the Lady Eagles to the District 29-6A softball title and last year she led the Lady Eagles into the third round of the post season winning the bi-district and area round championships. She led the team in several categories during her junior year last season including a hefty team high .480 batting average, a team high five homeruns, a team high 37 runs scored, a team and district high 39 RBI’s and only struck out once during the entire season. No matter what the situation or what the count may be while at the plate she manages to come through with some remarkable clutch hitting especially in the post season last season. Brooke Diaz is a two-time first team all-district selection and was voted to the Texas Sports Writers Association all-state honorable mention squad. 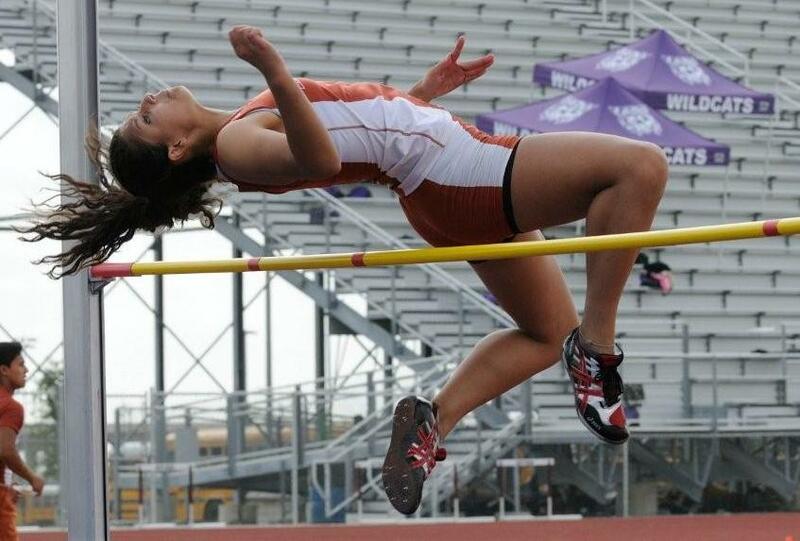 She was the recipient of the very prestigious Eagle Award that recognizes the top female athlete at Eagle Pass High School during her junior year where she also served as team captain. She is a two-time recipient of the Gold Presidential Award and is an all-academic scholar athlete. She also played travel ball for Coach Jim Bonola of the famed Texas Blaze squad. Her maternal grandfather Oscar Mireles was a standout running back for the 1972 Uvalde Coyotes state champion football team and also ironically a stellar catcher for the Uvalde Coyotes baseball squad and continued both his football and baseball career for the Texas Lutheran University Bulldogs. Louisiana Tech University is gaining a tremendous asset to their storied softball program in Brooke Diaz a true consummate team player who can hit for a high average as well as with power is quite a clutch hitter and an excellent field general behind the plate with a rifle throwing arm. Eagle Pass Sports Central congratulates the young and highly talented Brooke Diaz on your signing with the NCAA Division I Louisiana Tech University softball program and wishes you the very best of luck throughout your entire upcoming collegiate athletic and academic career and thank you for your countless numerous thrills and memories that you provided during your entire high school athletic and academic career at Eagle Pass High School where you will easily be remembered as one of the less than a handful of true great Eagle Pass Lady Eagles varsity softball players of all-time. Way to Go Brooke!